Arizona's summers are hot and dry, but finding the right plants to grow in these conditions is not hard. Knowing which plants will do well in a specific area before you plant them will save you time and money. You can have a beautiful flower garden even in the hot Arizona summers that will give your yard a cool look and feel. Lungwort (Pulmonaria) is a pretty flower shaped like a trumpet that comes in an array of colors like red, blue, white or violet. When the plant's stems are only 1 inch out of the ground the plant will begin blooming. Lungwort grows about one-foot tall and can spread to 20 inches. These plants have distinctive speckled leaves, and prefer moist soils. Columbine is a perennial that does very well in the Arizona shade--especially the yellow ones. During winter, the plant will go semi-dormant. Columbine blooms from May to July and comes in a large choice of colors. Plants grow from 12 inches to 3 feet and have a spread of 12 to 18 inches. The leaves have a scalloped-shaped appearance and are blue-green in color. The flowers are shaped like spurs. 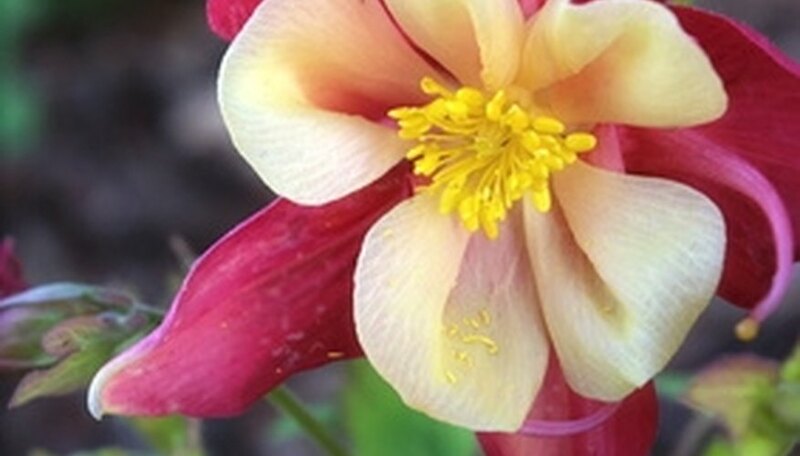 Columbine is a perennial plant that will reseed. The wax leaf begonia is an almost constant bloomer. Wax begonia received its name because the leaves have a waxy appearance. Depending on the variety, Begonias range in growth between 6 and 18 inches tall and spread between 6 and 12 inches wide. The leaves come in red, bronze, green or even variegated. The flowers, which bloom as either single or double flowers, vary in shades of pink, white or red. Impatiens are tender perennials, but most of the time they are considered an annual. They range in color from white, pink, red, salmon or orange. They prefer a moist soil with mulch around them. They are easily propagated from cuttings: Put the stem cuttings into a glass of water to form roots. Impatiens grow to a height of 12 to 15 inches. Plectrathus (Mona Lavender) belongs to the mint family. The flowers of this plant come in a variety of colors from white, pink, lavender and dark mauve. The leaves are dark green, with eggplant purple undersides. This plant is a relative of Creeping Charlie and Swedish Ivy. It grows to heights of 24 to 30 inches. The blooming period starts in early spring and continues until the first frost. Plectranthus grows well in containers. Pinch the tips back to encourage the plant to branch and stay compact. Plectranthus likes water, so water when soil dries out.